In just 3 days I set out for Antarctica on the M/S Expedition! This is probably the biggest adventure in my 5-years of traveling. It will easily be the furthest south I’ve traveled (previously Invercargill, New Zealand), it will probably be the most remote location I’ve ever been (depending on how you define remote), it will be the longest trip I’ve taken by ship in the roughest seas I’ve ever been on. It will also be my seventh and final continent to visit. So it isn’t as if I need to prepare for -40 degree weather. You do need to dress warm, but it isn’t as extreme as you might think it is. It isn’t as if I’m going to the South Pole where temperatures are always extremely cold. I actually own a parka that is the same kind used by staff at Mcmurdo Station and I assumed that I would be bringing it to Antarctica, but it seems like overkill given the temperatures. It is very warm, but also very bulky. I’ve decided not to bring it and instead take my Revolution Plus which should be warm enough for the conditions I’ll be facing. Moreover, it has far more pockets which will let me get off the boat without my camera bag. Everything else will be just layers of clothes; Long sleeve t-shirts, button up long sleeve shirts, pants and long underwear. Footwear is always an issue when traveling. Sneakers, sandalas, formal shoes and boots all serve different purposes. I’m going to be bringing my hiking boots which I’ve been traveling with for the last 5 years. The ship has rubber boots which I can wear or put over my shoes so I’m not worried about bringing waterproof shoes with me. The clothing hasn’t been nearly as big of a problem as I initially thought it would be. If I ever go to the South Pole (which I hope to do someday) it will be a different story. I have no idea if/when I’ll be going back to Antarctica so I don’t want to miss any photos. The biggest change I’m making with camera gear is that I’ll be taking a 500mm lens with me. Traveling non-stop means you have to make sacrifices when it comes to gear. I normally only travel with 3 lenses and 1 camera body. At best, I have been able to zoom out to 200mm but my images at the resolution are usually horrible. As such, I have never take good wildlife photos. The folks at BorrowLenses.com are letting use a 500mm lens and tripod. I’m hoping the lens will give me the reach necessary to get shots from the deck of the ship and of whales we might see from the boat. I’ve seen many whales over the last 5 years, but I have never gotten a good photo of one. I’m also going to be taking my second body with me (my old Nikon D200) so I don’t have to swap lenses as much. The main reason I don’t use my D200 is because it performs poorly in low light, which shouldn’t be an issue that far south in the summer. Given the length of the cruise (18 days) I estimate the number of photos I’ll be taking to be well into the thousands. I also tend to take more photos of people/animals because it takes more shots to capture a head or movement to be exactly the way you want. I’ll be bringing along a fair number of memory cards and hard drives to back everything up. Many of the concerns I have traveling with heavy, expensive gear aren’t an issue when you are on a boat. I don’t have to carry everything from place to place, security isn’t much of an issue and I’ll have time to edit photos each night. 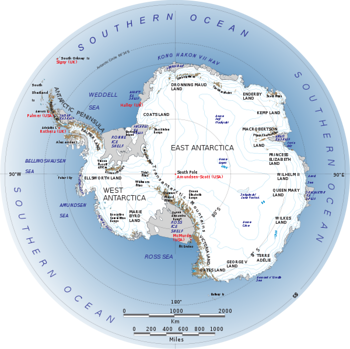 If you are traveling to Antarctica in the summer and not venturing too far beyond the Antarctic Circle, I don’t think you need to pack that much different than you would if you were going on a ski trip. Yes it will be cold, but the temperatures aren’t as extreme as you might think. I’m sure I’ll have a lot more to say on the subject when I return. I’m heading to Antarctica next month and just came across your post. Great tips! It’s really useful to know that you don’t need much more clothes than what you do for a ski trip. I have to make a big sacrifice when it comes to photo gear, I only have one body and one lens as I’ve been on the road for the last year. I’d love to have another body and lens but sometimes we just gotta work with what we’ve got! Thanks again for the useful info. Gary have wonderful trip. I can’t wait to read and see all about it when you return. I hope to travel there myself one day. Safe travels! I am going on the 8 March also with G Adventures but struggling to know what to buy in terms of kit so thanks for the tips. My trip is going to cross the circle so may be colder, but do let us know the next post! 1. If you are deciding whether to bring seasickness pills or not, be aware that in Ushuaia the only option is Dramamine, although I read somewhere that Bonamine is better, lasts longer (24 hours) and it doesn’t cause drowsiness so it might be better to bring that from home instead. The price I paid for Dramamine in Ushuaia was AR$31 for a pack of 12. I heard ginger gum helps prevent seasickness as well. 2. While it wasn’t actually as cold in Antarctica as you would imagine, as in all cold climates the extremities suffer first and most so make sure to bring a good hat and/or ear muffs. I bought a a neck gaiter in Ushuaia right before leaving and I was incredibly glad I did. Good socks of course are a must. And, a tip on gloves, bring two pairs (at least): one thin and light enough that you can use your camera while wearing them and another thicker pair to wear over the lighter pair. 3. We didn’t have too much trouble with snow, but bringing along a good pair of ski goggles might be a good idea in case there is a lot of blowing snow. 4. I thought I might have a lot of downtime but actually with all of the lectures, excursions, meals, chatting with other guests, etc. I didn’t. Still, bring a book or two to read just in case. Our ship actually had a very small, but moderately interesting library. 6. Bring some Ziploc bags and elastic bands to use your point-and-shoot camera on the zodiacs or for rainy occasions. If you have access to an underwater camera that would be perfect for capturing the sea life you will encounter very close to the zodiacs. Have a grand time! We look forward to reading of your adventures. Just make sure that everything has a waterproof outer layer. Nothing like getting drenched by a wave hitting the zodiac when you don’t have your pack cover on. It will be an amazing trip. I was there last month, and would recommend thinking twice about a 500mm lens. Most penguin shots are easy with a 200mm. Birds from the ship can fill the frame at 280mm (1.4 teleconverter). You may get whales from the ship, but you might get them better in the zodiacs at 35mm! Have there been any moments that you just didn’t take a photo? For instance, you were in the midst of a beautiful photo-worthy scene but you just got caught up in it and lived in the moment? It seems like you focus alot on photos now. I was wondering how you balance it with actually living in the moment. I have never had an issue with taking photos vs “living the moment”. When I go back and look at my photos, I don’t remember myself holding a camera, I remember what I was looking at. You better do the polar plunge!! good luck! I hope you will be pleasantly surprised on your journey and have a fine adventure, and I look forward to reading all about it! Safe journey to you! Guess I really didn’t think much about it before, but I didn’t know Antarctica was that warm. I imagine this to be one of the most memorable and exciting journeys. Looking forward to reading about your experience there! For the most part, Antarctica is very cold. I’ll only be visiting the northern most points on the coast during the warmest time of year. I’m going in 8 weeks on the MS Expedition so I eagerly await your blog report. Will be interesting to see how you went on with clothing, camera gear etc. I was walking around Antarctica with a t-shirt and everyone was very surprised. There were several other people that were walking around with t-shirts as well. I was surprised that it wasn’t as cold as expected. Also, the cruise we were on supplied the jacket so you may want to double-check if you’ll get one. It was a multi-layered, heavy coat that I wouldn’t have wanted to be without. Some additional notes and photos from our trip to Antarctica are here on our blog if you are interested – http://30somethingtravel.blogspot.com/2009/12/antarctica-cruise.html. My other suggestion would be to bring a big drysack with you so you can put your camera gear in it while on the zodiac and getting in and out of it for landings. While most of the time you can take photos while on the zodiac, there are times when the waves are splashing in and it’s comforting to have that thick, waterproof plastic protecting your gear. Enjoy your journey! I’ve heard that the wildlife in the Falklands and South Georgian islands is incredible. And, being able to go below the Antarctic Circle is amazing – the color of the ice and mood is just surreal. Safe travels! I will be on the M/S Expedition with G Adventures. 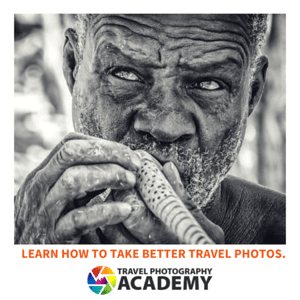 Also, be prepared to take a rather ridiculous amount of photographs, so you might stock up with extra memory cards and batteries. It’s a great journey, unlike any other. We did it last year and I would return without hesitation if I had the chance. Safe journey and a quiet Drake Passage!